One of the simplest ways to restore vitality to the skin is to undergo a customized chemical peel. Dr. Blose has provided this type of treatment for many years, helping patients achieve a variety of goals using precise application and solutions. A peel can effectively correct a variety of issues, ranging from sun spots to acne, by accelerating the skin’s own exfoliation process. This accelerated exfoliation process promotes the elimination of dead, dull cells and the subsequent appearance of healthy new cells. Peels are highly customizable to each patient, based on their specific needs. To achieve the desired outcome, Dr. Blose varies the type of acid, the strength, and the duration the solution is left on the skin. The solutions commonly used for chemical peels include lactic acid, salicylic acid, or glycolic acid. Each is safe and effective at producing beautiful, rejuvenated effects. Paying great attention to detail, Dr. Blose designs precise chemical peels to improve skin tone and texture, even treating melasma. As peels are customized to each patient, the amount of recovery time needed will vary from one person to another. Some peels, such as those with a light glycolic acid and short treatment time, may result in skin brightening and toning without any downtime at all. Stronger peels containing a higher concentration or longer treatment time will achieve dramatic results, but may require a few days at home, away from the sun. The strongest peels can cause more significant reddening and peeling, requiring up to a few weeks for complete healing. Following chemical peel treatment, we provide suggestions for optimal recovery based on the specifics of the treatment. Most importantly, patients should avoid direct sun exposure in the days after their peel. For long-term benefits, a broad-spectrum sunscreen with an SPF of 30 or higher should be worn daily, rain or shine. Dr. Blose has years of experience applying chemical peels for rejuvenating effects. We believe in maximizing the appearance of the skin by customizing care for each patient. Following a chemical peel, we will discuss with the patient the skin care practices that will preserve and nourish beautiful skin. Our skin is affected by a number of factors, ranging from diet to stress to sun exposure. 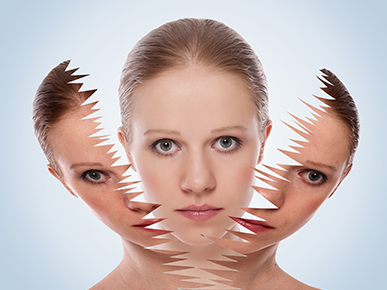 Chemical peels provide a way to speed up a natural process that uncovers healthy new cells. Contact us in Downey or Montebello for your visit with Board Certified Dermatologist Dr. Douglas Blose.